As we already told that Traffic is most important for any blog. Traffic is the main survival of any blog or website. Just like that if you are a photo lover than you have to go through to this post. 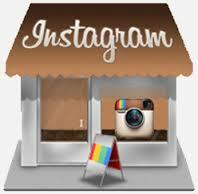 Instagram is If you haven’t joined Instagram just yet, you should consider giving it a shot. After all, aren’t you curious why the photo-sharing and video-sharing social networking service has accumulated 160 million users in just over three years? Does the fact that Instagram grew by 23% in 2015 sound appealing at all? Don’t you want one of your pictures to become one of the 16 billion images shared? Well, I know in today's world, everyone is loving to click an photo with their friends, relatives even when they are lonely. Selfie, is a word or a trend via everyone take the photo of their own and uploaded on various social networking sites. You can get a tons of likes if you are uploaded your pictures on Insta. It is a beautiful app where you can edit your picture easily and modify it in different modes. Instagram is not only provide the platform where you can upload your pic but it also approve to likes the others pictures of people. Plus you can share it on different sites. People say cheese for what !, just for an good photo, and if you doesn't get ratings for that what's the big deal. In this article I would like to tell you How to get boost and increase your Instagram followers in quick ways. It takes some time and little effort but it works and you get thousands of likes. Social media provide a great platform where you can get many likes, comments and even a button called share. Here in this app, you can also share the pictures and edit it in colorful manner. So just go through with this post and enjoy!! First of all you have to liking the photos of your friends. Just like more and more photos. Scroll in the end of your feed and like the photos of friends of friends. In this case those who doesn't know you and don't like your pic in return, they will also start liking your photos and visit your profile as many times. Now visit to the explore page, here you will find some high rating profiles, You have to follow these celeb and people those have tons of followers. So in return some people will caught your profile and visit to it and like your pictures. The next step is search the pictures you are interested in like people, place etc. You have to search so many pictures on Insta. When ever you want to write something, use the word or tag (#). Like you want to search Mountains, so write it like this #Mountain #hilly #snow #winter. Like as many photos as you can. In a time you feel that your followers will increasing day by day. So just try it again and again. Do search with multiple Tags. Profile editing is must, you have to edit your profile regularly so that people will find some interesting stuff in your profile. Pick an interesting username and profile picture of your own. It should be unique, attractive and beautiful. You can take a selfie of your own. Make your picture is relevant to the theme of your profile. It make your profile awesome. Commenting is the most powerful task where an user can get lots of followers. You have to comments on those pictures. Try to comments on more pictures as you can. The more you can comments, more the followers are attached with you. Comments to build up the relationships. You can comments using the hashtag option. It become more viral in the Instagram. Try to post between 1 to 10 photos a day, this should keep your audience and visitors engaged and make sure there is always something of yours in their feed. You shouldn't post pictures and image just for the sake of posting pictures - they should all be beautiful and unique in their own right. So try to keep posting regularly. So that people will coming again and again. Your biography play an important role in your profile. People should about you and your life style just because of your bio. So make sure it is attractive and people should read it with enjoyment. You can use some stanza and poems to describe your personality. Or you can just make it a quick snapshot of your personality, for example "Chronic Giggler", "Coffee Fiend" or "Fitness Fanatic". Try to give a brief description about yourself. Tagging is a option where you can put a person name in your pic, so that other people can see your pic directly whenever they open their profile. Tag more and more people as you can, so that more people will know about you.